How long does it take to manufacture 1 unit? The manufacture of one unit takes 8 days, the time of manufacture accounting for overloading of orders is 15-25 days. 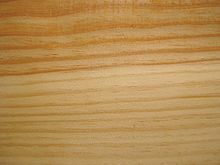 What is the difference between wood species? Handles in the dummy are on the same level? Are there backlash? Handles in the dummy are on the same level. Backlash - 4mm on each side. 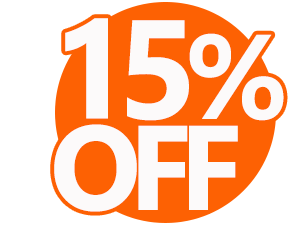 If you order more than 1 unit, for each product will be assigned a 10% discount. How do I become your partner? Send email to info@wooden-dummy.org with information about your offer. How is the payment and delivery? Shipping is carried by International Post to all over the world. All prices include international delivery. Shipping time by POST: 20-30 days. (Sometimes up to 60 days). If a customs clearance is necessary in your country, then we will send an invoice with a low price. Therefore, the price of customs clearance will be low. Payment by PayPal. If we do not have additional questions on delivery after order, we send PayPal request on your E-mail. After successful payment, the order will be made and shipped. We will send to E-mail a tracking numbers and invoice (if needed). Parcels usually arrive at the door to your address by courier. Sometimes it comes a notice of the arrival of the parcel to your post office. In this case, you must pick up the parcel from the post office. It is also very important to pick up the parcel on time, if the parcel remains for a long time at the post office, it can go back after 15-20 days. Be sure to track the parcel! What caused the cost of production? This is one of the most important issues we are constantly working on! The price of products consists of: the cost of delivery + the cost of material + cost of manufacture. Shipping cost includes shipping in Europe and America, for Asia prices may vary, because the cost of sending one kilogram can be much higher, such as shipping to Australia or the Philippines. It should also be taken into account that the international delivery periodically rises in price, by about 5-7% per year, given the rate of inflation of the destination country, and the price is also increasing in the country of origin. Another factor that characterizes the price consists of the cost of materials, such as in Ukraine over the past 2-3 years the cost of wood (material) has increased by 160% and growth continues every 2-3 months by 1-3%. The PayPal system charges a 4% commission when transferring funds. In total, when withdrawing funds, we lose 7-8% of the amount. This is very important to consider. What guarantees does the product have? One year warranty for all products. You can additionally require a photos of your order before sending.